To develop skills is to develop a human being. Any society requires people with different skills to function properly, and it is no different in South Africa. In fact, within the current economic climate, skills development should be a priority throughout all sectors. While tertiary education, in essence, is available to all in South Africa, many problems have been encountered in more recent times—the cost of tertiary education being the main point of contention. Apartheid, cost of education, lack of planning, underpaid and overworked teachers,and unqualified teachers are all massive issues facing South Africa. Make no mistake, that list could go on for pages upon pages. Regardless, for whatever reason, it has left many young and old South Africans uneducated and unable to find employment or create employment. The fall off from that is that we now sit with a deeply unequal society. In order to address these issues facing us as a society, the Skills Development Summit aims to not only focus on what the issues are throughout the private and public sector, but also to find solutions with the help of experts in industry. The summit is a social platform and processing of information in the form of a workshop which brings academics, politicians, public and private enterprises and the government under one roof. These institutions come together to form a dialogue around the most burning issues that face South Africa in terms of skills development and training, job creation and unemployment. It is crucial to the economy that the majority of its citizens are empowered and given the opportunity of employment. Tertiary education is not the be all and end all that many people think. It can give a person the springboard they require to launch themselves into the corporate world, but as Grohe Dawn, the spokesperson for Cobra Water Technology explains, there are many other opportunities. “While tertiary institutions certainly have their place in South Africa and always will, we strongly urge the youth to start considering trade professions such as plumbing, which has seen a steady decline in the past few years. We do, however, have some of the best products that have been developed locally and various learnerships, which give students in this respective industry working experience, which is crucial to their success in the industry. Our youth are looking for answers and we need to provide them with the mechanisms in order to find solutions. For over a decade, the Skills Development Summit has been at the forefront of bringing the brains-trust together, and on February 15 2018, that will happen again. We can look forward to another two days of discussions around issues that affect us all. SABC News Producer and Current Affairs anchor, Peter Ndoro will once again be heading up these discussions as the MC. He has almost become synonymous with this summit over the years, and with the experience he brings, we can look forward to lively discussions and expert opinions. Over the course of the two days, Ndoro will be kept company by some other bright minds—people such as adventurer, Monde Sithole, National Development Plan 2030 Brand Ambassador, Koketso Marishane, the Deputy Presiding Oficer, Economic, Social and Cultural Council (ECOSOCC) of the African Union, Patson Malisa and Howard Blight, Chairman and founder of Agricolleges International. You can visit the website, www.skillssummit.co.za to find a full list of speakers and anything else you might want to know about the summit. It is crucial that everyone in business and government continues to upgrade their skills development programmes in order to assist with the growing demand. Skills development is the only way the governments National Development Plan (NDP) for 2030 can be achieved. The goals are steep and the years to achieve it are growing fewer and fewer, but the goals are not impossible, nor unachievable. It can, indeed, be insinuated that out country sits at a crossroads. The direction we choose to take can determine ours and our children’s future. We must choose wisely. This is not solely an individual’s decision, or a decision by the government—we must, as a collective, all take action. If we continue to sit on our hands, the consequences could be catastrophic for us, our country and the economy. It is events such as the Skills Development Summit that allow us to come together to discuss these issues, so if you have something to say, or you believe you could learn something, ensure that you are there. South Africans have often pulled together and performed when times were tough, and this is one of those times. We (the private and public sector) cannot continue to fail the youth of this country—it is not only their future that is at stake, but also the future of our country. That being said, many corporates and NGOs do pull their weight within this arena, and some go above and beyond. These are organisations that bring hope to our country and should be recognised for their achievements. With this in mind, after the Skills Development Summit, the Achiever Awards take place. That is where these organisations are celebrated. 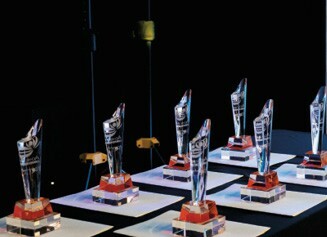 There are different categories in which a company can be nominated, and these categories are still open for nominations. There is a very thorough process through which all nominations must go and once the supporting documentation is provided, a stringent judging process begins. 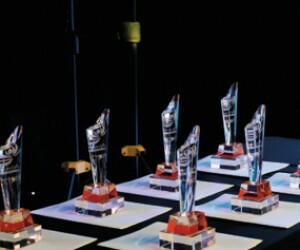 Should you wish to nominate a company or an individual, please visit www.skillssummit.co.za and follow the prompts.